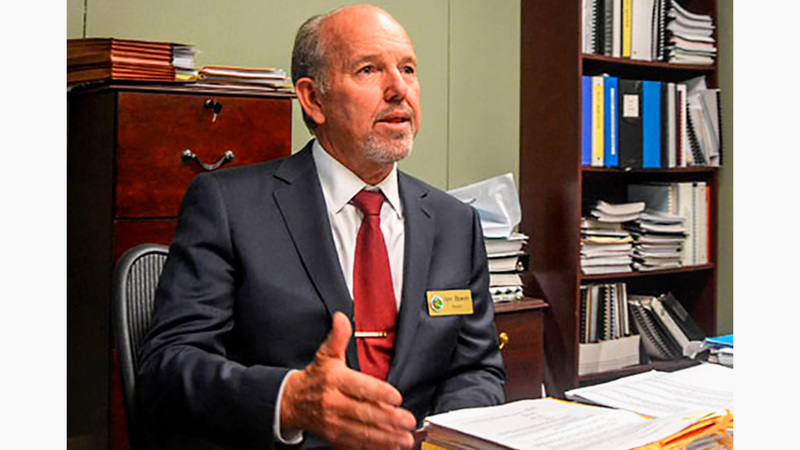 Calimesa Mayor, Jeff Hewitt, is running for County Supervisor to represent Riverside’s Fifth District which oversees the cites of Banning, Beaumont, Calimesa, Menifee, Moreno Valley, Perris and some of the county’s unincorporated communities. Hewitt is a longtime businessman who established his first commercial operation in 1971. Hewitt graduated from Cal State University San Bernardino with a degree in Biology in 1985. While in college, he launched his own contracting company. Since 1985, Hewitt has steered his business, Champagne Pools, to success in the community of Calimesa. Over the years he created new applications for existing technology and applied this knowledge to his pool construction company. His public service involvement began in 2004, when Hewitt was appointed to the City of Calimesa’s Planning Commission. In 2010, he ran for city council and he is currently serving his second term as the city’s mayor. Hewitt outlined plans for his potential role as Riverside County Supervisor. His top priorities as County Supervisor would include economic growth, common sense, and responsible government. He expressed his belief that economic growth drives everything. According to Hewitt, economic growth would be bolstered through common sense decision-making and through a government that is accountable and transparent. “Responsible government is government that listens to everyone.” He encourages people who are radical about change to, “Come talk to me. Let’s work these things out. Let’s find where we overlap” he explained. Hewitt’s experience in both the private and public sectors inform his decision to focus on these key components. He identifies as a fiscal conservative and believes this allows him the insight to ensure the best for Riverside County residents. He said he will work to ensure the county maintains its resources through prudent use of taxpayer’s money to create proper reserves. If elected, he will focus on a plenitude of municipal components that affect constituents’ daily lives. For Hewitt, these will include zoning, county contracts, ordinances and resolutions, and the annual budget. To learn more about Mayor Jeff Hewitt’s platform visit https://www.votehewitt.com/.